Can the Wizards Be Fixed? The Wizards have consistently underachieved under its current core. With high level young teams atop the Eastern Conference, the timing for a reboot in Washington could be now. 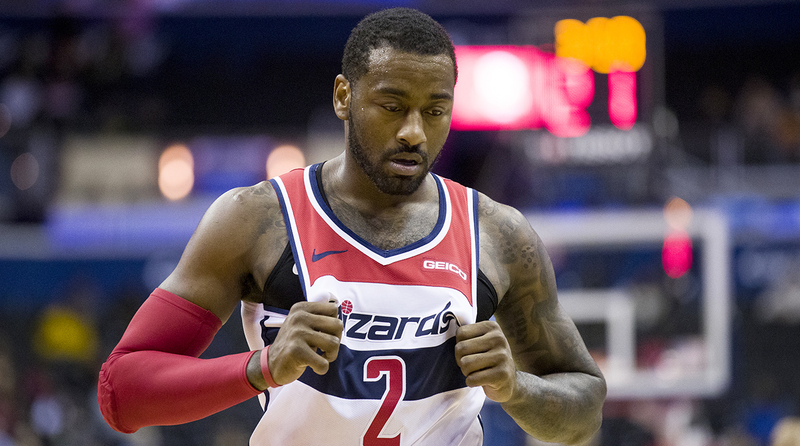 WASHINGTON – Scott Brooks pumped his fist, John Wall tapped his chest and the (announced) 14,499 that filed into Capital One Arena roared in the waning moments of the Wizards 125-118 win over the Clippers. It was a win for Washington, its sixth of the season. And a badly needed reprieve. These are dark days in Wizards-land. Considered a fringe conference contender entering the season, Washington has stumbled. Losses have been compounded by reports of dysfunction, headlined by a practice skirmish last week that seemed to touch everyone on the team, the coach included. ESPN reported that John Wall dropped an f-bomb on Brooks. I’m guessing Brooks—who played with Vernon Maxwell, who was coached by Rudy Tomjanovich and who himself coached Russell Westbrook, Kevin Durant and Serge Ibaka—has heard worse. Still, the break-up-the-Wizards narrative is full blown. And deservedly so. Washington is a perennial underachiever. The Wizards talk a good game, and then rarely back it up. Washington has not made it out of the second round since 1979. They were the Bullets back then. A young forward named Mitch Kupchak was chipping in 15 points per game. The Wizards have one of the NBA’s highest payrolls—$131 million—and are far from one of its best teams. WOO: Should the Wizards Trade John Wall? Wall wears the biggest target—he’s the franchise player, and beginning next season Wall will average around $40 million per year over the next four seasons. And he hasn’t been great. Wall’s shooting percentage is in the mid-40’s, his three-point percentage in the low 30’s and there are times he looks like he’s sleepwalking through plays. His shot selection is suspect, his defense has been worse and his leadership widely questioned. But is John Wall really Washington’s biggest problem? Is it Markieff Morris, whose field goal percentage (43%) and three-point percentage (34%) have fallen from last season? Is it Otto Porter, the $26 million per year man, who is chipping in just 11 points per game? Is it Austin Rivers, whose numbers have cratered across the board? Is it Dwight Howard, the ballyhooed offseason signing whose injuries have limited him to nine games this season? Is it Ian Mahinmi, whose four-year, $64 million contract ranks among the worst signed in the infamous summer of 2016? My point: This isn’t just a John Wall problem. Besides, does anyone really believe Washington can get anything of value for Wall right now? He’s a 28-year-old point guard with a history of knee problems whose contract will gobble up a third of any team’s cap space. Could the Wizards get Phoenix interested? Perhaps—Suns owner Robert Sarver is bonkers, and he could be convinced that a Wall-Devin Booker backcourt is the path to playoff contention. Could Miami get in the mix? The Heat don’t seem to mind taking risks. Pat Riley appears hell-bent on giving his team a shot to contend, and I’m sure there are some in Miami that believe a change of scenery and a few seasons in the Heat conditioning machine could do wonders for him. Beyond that—is anyone taking Wall on? Don’t think the relationship between Wall and Brooks is damaged, either. Altercations with star players comes with the territory. Doc Rivers has been around his share of high-profile stars, and has had dust-ups with a few of them. “Oh yeah, it’s a ball. It’s a lot of fun,” Rivers said, sarcastically. “I punished them the next day, played them 48 minutes and never took them out. You know the old saying, you have to be as good as your problems. If you’re not, it’s easy to punish. If you are, it’s a tougher thing. “Practice fights are fine,” Rivers said. “You have those, with each other. Player vs. player, I’ve seen a lot of those. Many most people never know about—some good ones too, man. It happens. Sometimes it’s good for your team, most times it's not. And the fact that the Wizards problems are being played out publicly? The most reasonable argument for dismantling the Wizards a month into the season is that history has shown that this team has a ceiling. This is Year 6 of the Wall/Beal/Porter core, and the results have been underwhelming. The Wiz are capable of surprising you with a postseason run—two years ago Washington was a Game 7 loss in Boston from taking on Cleveland in what could have been an interesting conference finals—but too often come up short. With high-level, young teams atop the conference (Toronto, Milwaukee, Boston), the timing for a reboot could be now. The question is—is GM Ernie Grunfeld the man to do it? Grunfeld, in Year 16—16!—with the Wizards, has more job security than a federal judge, surviving ragged seasons, a handful of rebuilds, a mediocre draft record and bizarre history of overspending. If Washington does shake up its roster, it’s fair to ask if Grunfeld deserves to oversee it. Publicly and privately, the Wizards aren’t ready to declare this group finished. A win over the Clippers is hardly momentum-building—L.A. didn’t get into D.C. until 3 a.m on Tuesday morning and built a 24-point lead Washington erased against a gassed Clips team in the second half—and the Wiz know it. The schedule doesn’t get any easier, with dates against Toronto and Houston and a home-and-home against New Orleans looming in the coming week. “We’ve still got a lot to fix—it’s one game,” Beal said. “I’m still not happy and I know [our team] isn’t happy with where we are. We have a lot of work to do, but we definitely take a lot of positives out of [tonight]. Especially with all the negativity that’s been surrounding us, we take all the positives we can get. The good news for the Wizards is that the NBA news cycle spits out dramas regularly. Washington’s in-fighting supplanted Golden State’s, and by tip-off on Tuesday the Wiz issues were overshadowed by the ongoing saga that is Markelle Fultz. String some wins together, and a practice flare-up is forgotten. Continue to struggle and changes—big ones—could be coming.